Action Packed Day at the Eko Atlantic Car Show “For the Love of Cars"
Drive around some parts of Lagos and you might find the occasional interesting classic parked up beside the pavement. But if you don’t want to leave your car spotting to chance, there’s one place that’s guaranteed to be packed with desirable, cherished and possibly rare classics. This was the case with the just concluded Eko Atlantic Car Show “For the Love of Cars” which took place at Eko Atlantic City on Sunday 7th February 2016. 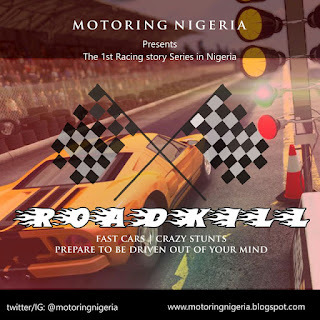 Motoring Nigeria was there to cover this event and with what we witnessed, permit me to say car culture has officially taken off in Lagos state. The cars are being displayed by their owners, some of whom are enthusiastic owners of car showrooms. The idea behind the show was to get selected car enthusiasts and owners together in a private location to admire cars ranging from classics to luxury cars, and supercars, take pictures, have discussions around the cars present and schmooze whilst sipping on champagne and being entertained by the DJ. Champagne producer and distributor Laurent Perrier, held tastings so participants can find the perfect tipple to celebrate their victory in a drag race. There were two notable drag races that served as a memorabilia of the event. The competing cars in the first drag race included a 2015 Ford Mustang GT 5.0, Porsche Panamera 4S, Porsche Boxter and BMW 5 Series, However, there was a debate between the Porsche loyalists rooting for the Panamera and the Mustang loyalists rooting for the Mustang. Well… the Porsche dusted the Mustang a great deal but that didn’t stop the Mustang clan from murmuring that it was the fault of the driver and not the car. A Dodge Challenger SRT 8 with a whooping 6.1 litre Hemi engine and a BMW X6 M came into the picture in the second drag race, both replacing the Porsche Boxter and the BMW 5 Series. These two however failed to make an impression as they came 3rd and 4th respectively, the Mustang finally roared to its glory in this drag race as it clinched the first position with the Panamera 4S coming second. A classic, Bentley Azure was present for the event, it surely attracted some crowd during its stay but left some minutes after arriving. Just when we thought the event had reached its climax, Bamidele Fadimiluyi(Organizer of Eleko Motor Race) and his folks rolled in slowly and stylishly with a Mercedes Benz W112 and they surely got eyes turning with that beautiful masterpiece. Some of the other cars present at the event include, Rolls Royce Wraith, Rolls Royce Phantom, Mercedes Benz S63 AMGs, V12 Bi-turbo G 63 AMGs, Brabus, CL 550, S 550 Biturbo, Porsche Cayenne, Cayenne GTS, Porsche 911, Jaguar F-Type, XE, XJL, Chevrolet Camaro and so many other cars to feast one’s eyes upon. Bikes were also present and bikers didn’t fail to make an impression as they raced, performed wheelies and burnouts. This event was sponsored by Eko Pearl, Laurent Perrier and Remy Martin, hosted by Eko Atlantic and produced by Black Opal Entertainment and Productions. The Eko Atlantic car show “For the Love of Cars” created the perfect opportunity for visitors to talk to owners about the cars and to get expert advice from real estate developers at Eko Atlantic on how and what to buy in the city. Shout out to folks from SuperCarsofNigeria, CarsFromNaija, Olanrewaju, and every other car enthusiast present at the show, It was great meeting you all.